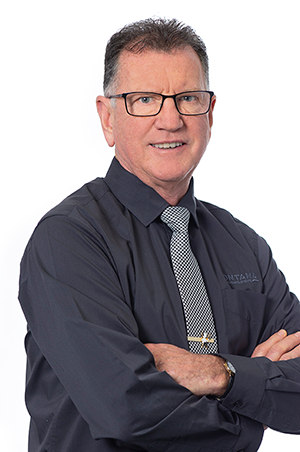 After sharing his time between the Montana Group Marketing Manager role and Commercial Manager of event management company 37 South, Pat has recently been appointed the new MFE Waikato General Manager. Coming from a professional sports marketing and commercial sales background, Pat was the Chiefs and Waikato Rugby Union Marketing Manager for 12 years. He also has international experience with Kent County Cricket Club in the UK. With over 40 years’ experience in the catering industry Peter has most certainly ‘been there, done that,’ but he is not looking back, but forward. He has been at the forefront of innovation and growth, taking on new challenges whilst ensuring that the quality is maintained. Peter lives by his reputation and has an enviable one in this industry. He has recently stepped away from a shareholding and general manager role but maintains a senior leadership role managing special projects in Waikato. Leader of our Waikato Operations team for over 10 years, Lyn has been part of some of the biggest events the Group has managed. Her focus centres largely on ensuring the client’s vision is fairly represented and her creativity helps achieve this. Her previous work experience revolves around customer service and she has a tertiary degree in Science. Leader of our Front of House team, Deep has a degree in Hotel Management from the Pacific International Management School in New Plymouth. He has broad experience in the hospitality industry having worked at: Sky City Convention Centre Auckland, James Cook Hotel Wellington and Copthorne Hotel Queenstown.